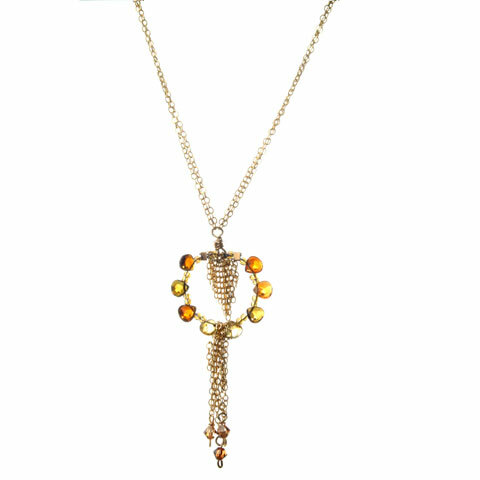 Tourmaline teardrops encircle delicate gold chain. Simple but elegant. The varied colors of tourmaline compliment any outfit.